For the third straight week, a New Politics Senior Fellow took over our twitter account! This time it was Air Force veteran, former member of the intelligence community, and former congressional candidate in TX-23, Gina Ortiz Jones. 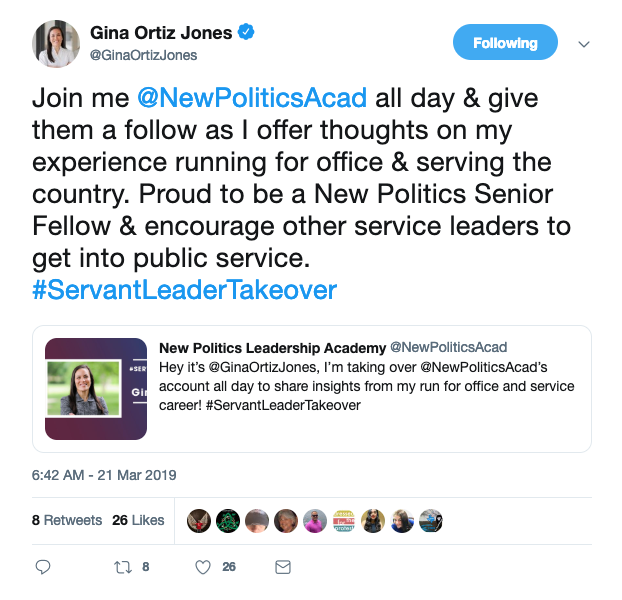 Gina spent the day talking about how her background shaped her view of politics, what she loved most about campaigning, and what advise she has for other servant leaders considering public service. 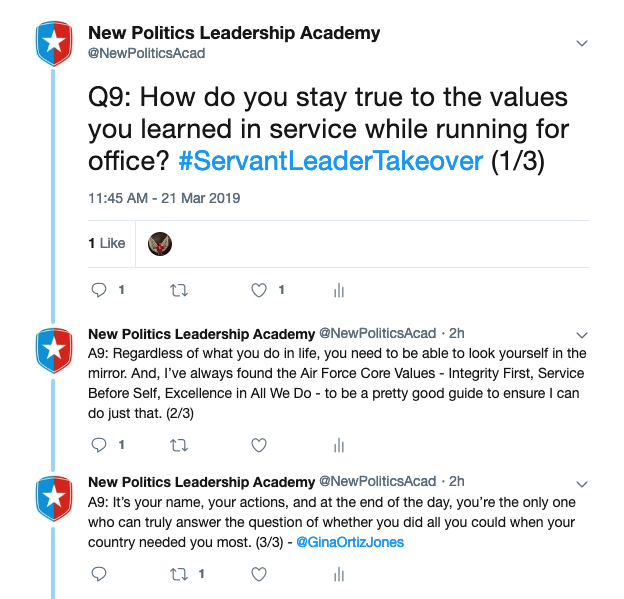 You can read all of Gina’s posts and answers below, or find them on Twitter under #ServantLeaderTakeover. As always, don’t forget to give us a follow to make sure you catch the second half of our Senior Fellow takeovers in coming weeks.